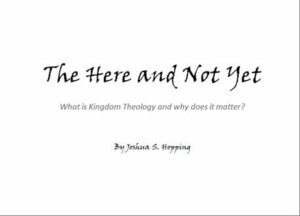 Help me publish a book about the Kingdom of God! I do, however, need your help getting this book over the finish line. Even though the book been accepted for publication by Vineyard International Publishing there are lots of expenses. This is where you all come in as I need help generating the necessary funds to pay for the book editing, layout, and cover design. Please check out my crowd-sourcing campaign to find out more about the book and how you can help.